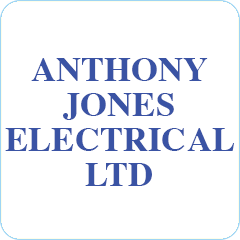 Anthony Jones Electrical Ltd is a professional and local electrical contractor who pride themselves on their punctuality and emphasis on quality. We only ever use high quality materials to ensure that once your work is completed, you don’t need to worry about when it will need repairing or replacing! We give you the peace of mind that only comes from a quality, NAPIT registered tradesperson who lives local to you. With over 40 years’ experience we are more than able to exceed your expectations regardless of the complexity of the work you need doing. From extra lights and sockets to full rewires, we will always leave you more than satisfied with our high level of workmanship. We are also able to offer replacement consumer units and electrical wiring and landlord checks, as always completed to the very highest standards. Whatever your electrical needs, make sure you give us a call for a free quote.